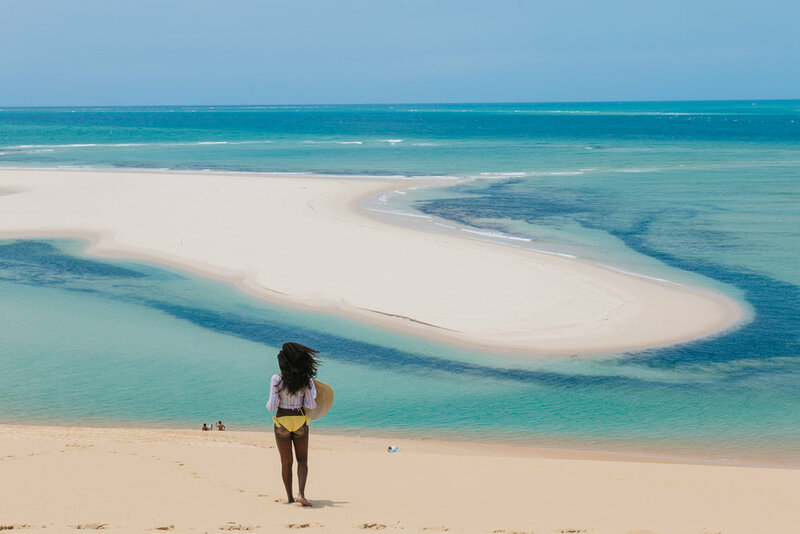 The Bazaruto Archipelago is a national park and remote cluster of islands located in southern Mozambique. This region is known for its stunning beaches and incredible marine life and the main reason why I wanted to visit. 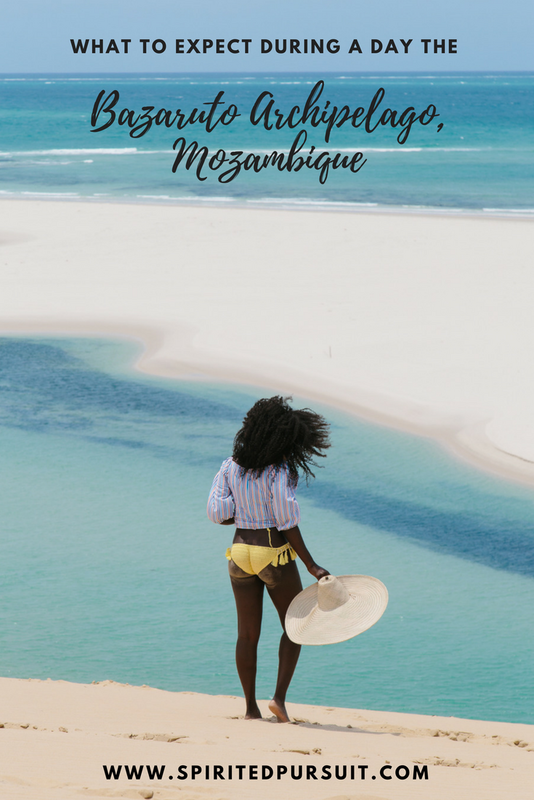 During my trip to Mozambique (full recap coming very soon), my sister and I were lucky enough to spend a few days island hopping these glorious islands and I was completely blown away by how unreal the landscapes were. Sandbank after sandbank create the most beautiful optical illusions (I’m sitting on top of a very tall sand dune, not on a beach in the image above), something similar which I've only ever seen in Namibia. African landscapes never cease to amaze me. The Archipelago is made up several islands: Bazaruto, Benguerra, Magaruque, Banque, Santa Carolina (also known as Paradise Island) and Shell. And while each of these islands have their own unique qualities, we ended up visiting Magaruque and Bazaruto - with Bazaruto being the highlight. I'm not sure that my words (or images) can do this place justice if I'm completely honest. Just imagine combining Sossusvlei, Namibia with Paje, Zanzibar...it was incredible. 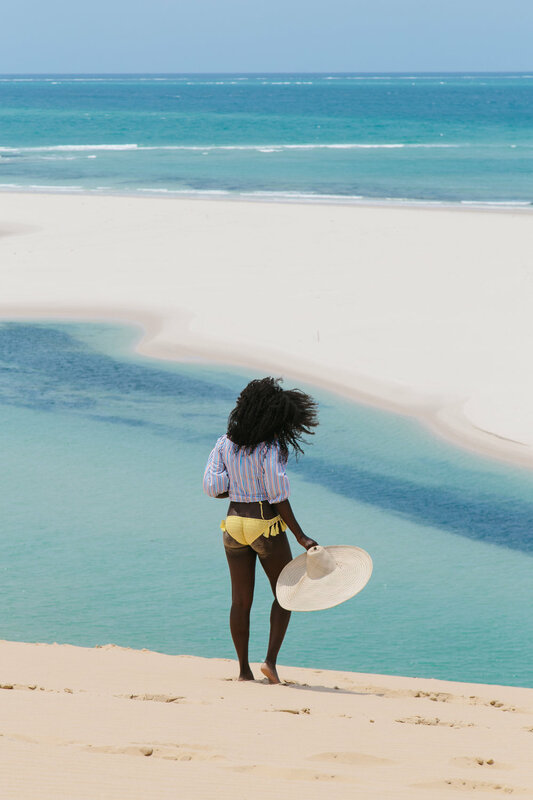 The waters are turquoise, calm and warm, the sand is white and powder thin, and the island itself is peaceful thanks to being completely isolated. There aren't even hotels or lodging here. Upon arrival, we were told that all the guards we saw were there to ensure that visitors don't even take a seashell off the island. That's how keen they are to preserve it! 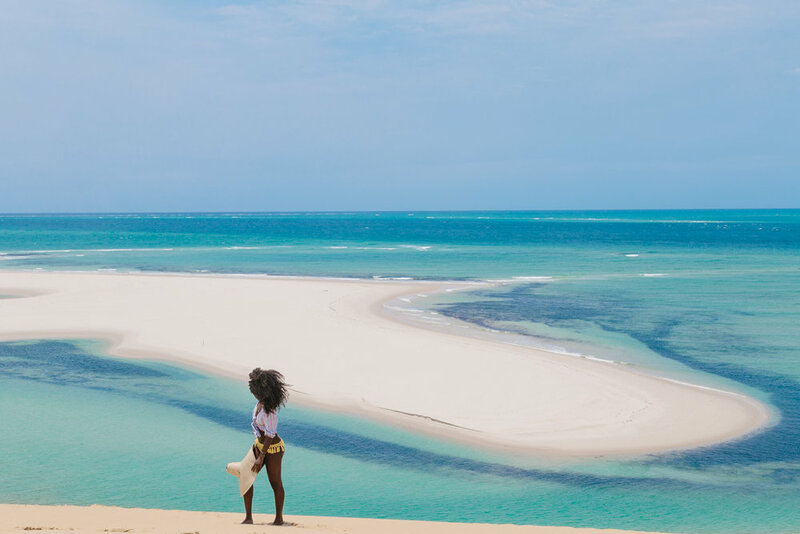 It was hard to believe the locals when they told us that there are even more stunning and remote islands around Bazaruto that are less visited. 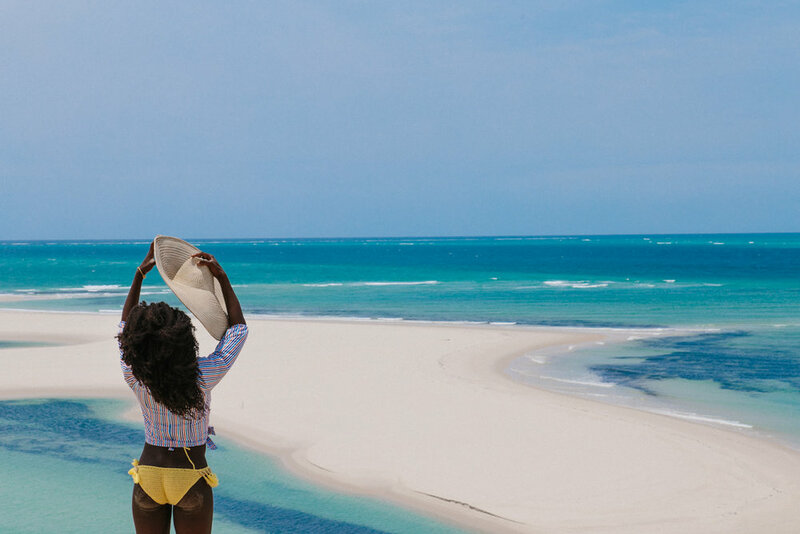 If you're coming from out of the country, getting to the islands is no cake walk. 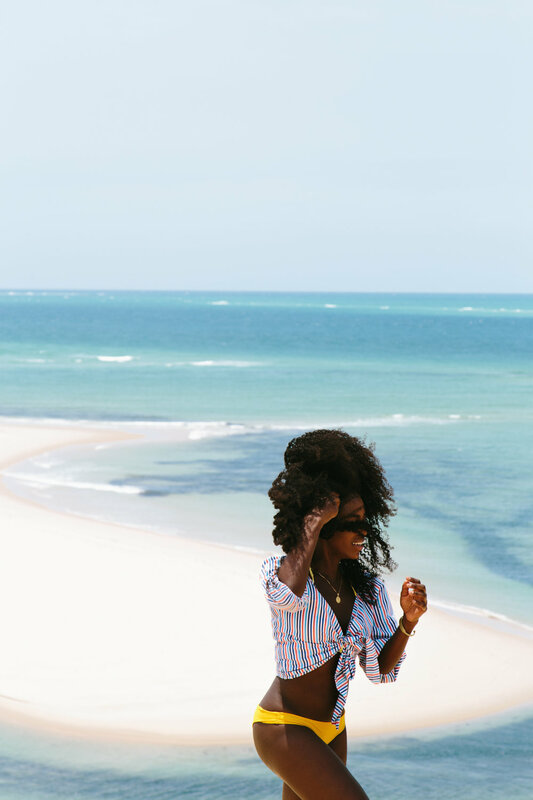 You'll first need to get to Vilanculos, a laid back and relaxed beach town, via a flight from Johannesburg or Maputo. You also have the option to drive from either of those cities, though I wouldn't recommend it simply because it could take over 10 hours. 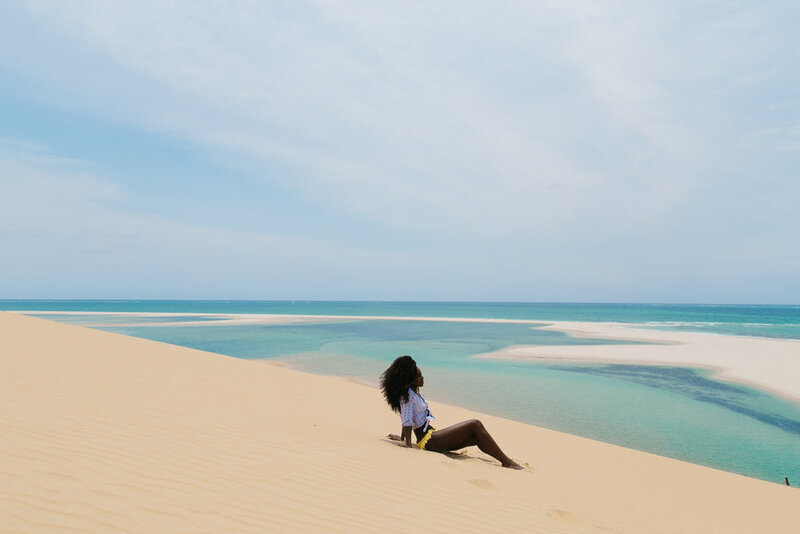 However, if you're already in Vilanculos, things will be much easier as you'll just need to arrange a dhow safari through any of the hotels or backpackers in town. My trip was organized by the Kitesurfing Centre, who I ended up using for all the activities I did while visiting Vilanculos. 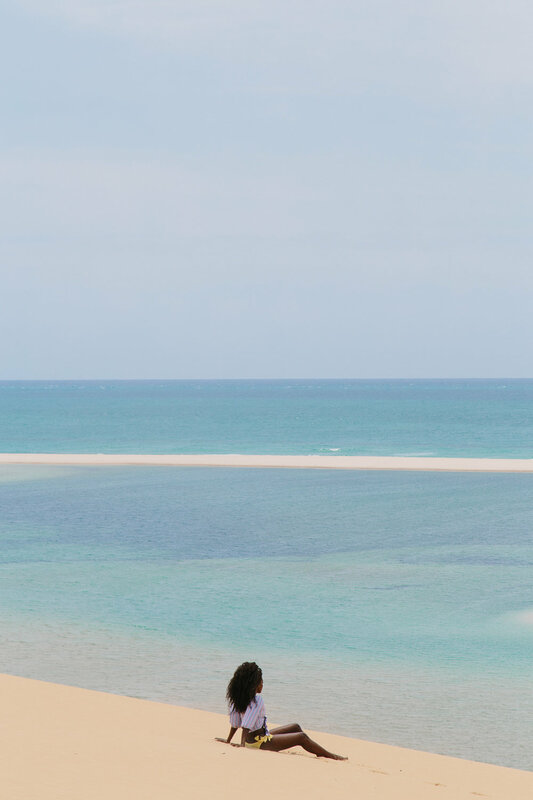 As you can imagine, most of the activities to do here include snorkeling, diving, sailing, or just laying out and enjoying the relaxing views. 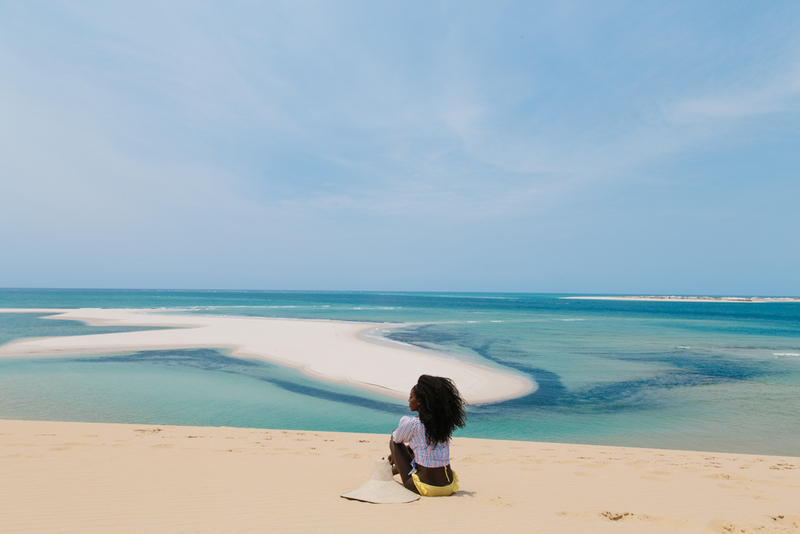 Like I mentioned above, we came out on a day trip where we spent a few hours hiking up the sand dune and swimming in the water while the crew of our dhow safari prepared a fresh seafood and veggie lunch on an open fire (amazing!). After our lunch, we took more photos (of course) before sailing back to mainland Vilanculos. In a recent Instagram post, I opened up a small giveaway for a chance to win a small curated box of market accessories from my recent travels as a thank you for supporting my journey. I am so completely blown away by you guys' response! Reading the comments on that post about how my journey has influenced your lives was the most humbling and incredible feeling ever. Thank you to every last one of you, you have no idea how uplifting that was for me! Traveling the way I do can feel very lonely and isolating at times, but to know that it has had a real impact to you in a genuine way makes it all worth it. Thank you, thank you, thank you.